Hmm...come to think of it, the Hong Kong thing might be part of the reason for the rebound. 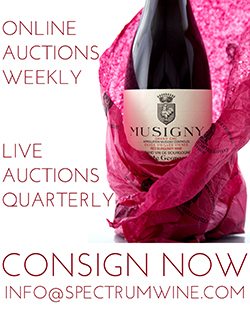 The city is now second only to London when it comes to wine auctions and collecting, according to Spectrum's Roberts. "Collectors there prefer, for example, the top Bordeaux and Burgundies in full-case quantities, while Americans tend to focus on specific bottles." 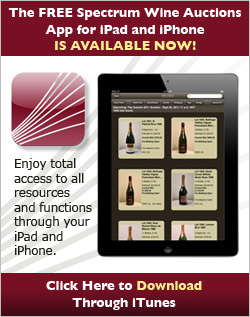 Keston puts it this way: "Wine collecting in this manner has become such a big thing in Asia. I know that a lot of Asian buyers are textbook buyers. The Americans might tend to buy things that aren't as well known, but the Asian collectors will buy a brand that they know, a winery that they know, and a vintage that they've heard is good" - say, a full case of '59 Lafite Rothschild. "They put them together because that's what the books say, that's what the trades say, and that's what the media says - even if you haven't had it, it got a high rating." The auction market is tailor-made for such a mind-set, especially when the seller is someone like McClendon, who tended to cherry-pick even among a top producer's offerings. "Aubrey didn't want everything," observes Keston. "He wanted the best vintages from the best vineyards." And when you have a collector who can manage such a feat, the consignment itself becomes something of a trusted brand. "It's very exciting for an auction house to get a consignment with a name. People know that it's a big collector; they might not be familiar with the name, but having the name there shows that there is something special about the collection. Usually, it's for larger collections, and the person probably spent time assembling the wines, perhaps with a cellar manager. I've worked at two other auction houses, and all of the named consignments had a premium." As for Dana Point, "We wanted to keep everything local - our headquarters is based out of Irvine. A commercial wine auction like the one we had is pretty new to Orange County, but I think Orange County was ready for something new and different and exciting. We got a lot of new buyers, including a lot of trade people looking for wines to sell to their clients. That was interesting - I'm used to having more individual buyers." "New and different and exciting" was Keston's department. "Auctions can be pretty boring and pretty long," she says. "But it's fun if you have waves of wine coming out for everyone to try. We had endless amounts of champagne throughout the evening, and we poured some bottles of Lafite, Latour, and Haut-Brion, just to make it more of a celebration. And" - as if you really needed an "and" for an event that was free to anyone who registered - "we did a comparison tasting of wines from Jonata," a Santa Barbara winery whose business workings are overseen by semiretired wine auctioneer Ursula Hermacinski. Keston knew Hermacinski from their days working together at Christie's and Zachys. When it came time for Spectrum to make its debut, she called on her friend "the gavel goddess," now estate manager at the cult winery Screaming Eagle. Hermacinski was happy to take the podium once more and also arranged for the Jonata tasting. "That was new," says Keston, "an interactive wine tasting where people didn't even have to leave their seats." Other innovations Spectrum brought to the auction world included online bottle inspection (360-degree views of many individual offerings) and single estimates for each lot's value (as opposed to an expected range). "For the buyer, it gives a more targeted and realistic price," explains Keston. "And for the seller, it removes the upper limit of what someone might spend." The auction pulled in nearly $3.5 million and managed to sell through everything it offered. Not bad for this economy, and good enough to start Spectrum (spectrumwine.com) planning for a similar event in March.